After a long week at work, or a memorable night out with friends, baggy and puffy eyes are a bad look. It’s a problem that a lot of people have to deal with due to genetics. Undesired bagginess and puffiness will add false years to your face. This is never a look that anyone wants to deal with. If you’re seeking the best course of action to reduce eye bags and dark circles, you’ve come to the right place. This is where Essential Anti-Puff Eye Gel with CoQ10 & Peptides by Sanseti comes in. 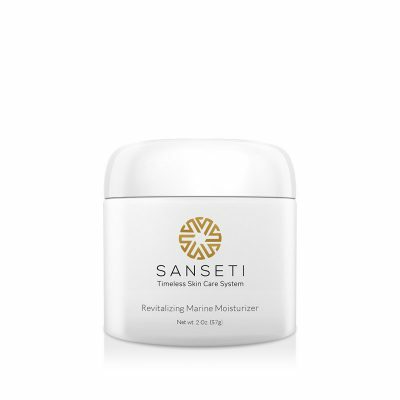 This product works well with Sanseti’s Revitalizing Marine Moisturizer and alternative sunscreens for daily use. 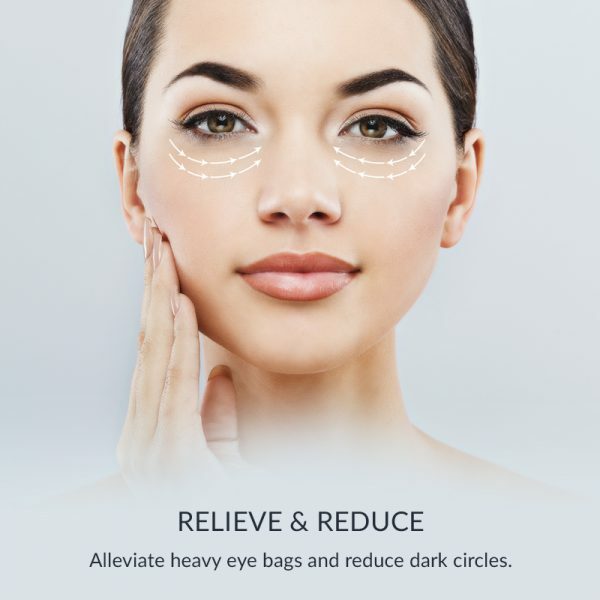 With ongoing use, and twice per day application, it’s going to reduce the look of those horrible dark circles and the puffiness that commonly accompanies them. Our customers see visual results in a short amount of time, and they are regaining confidence in their looks. 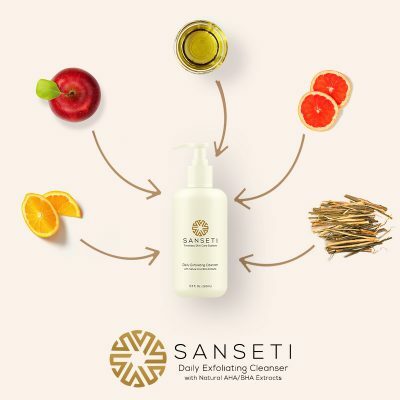 This is a frustrating problem to have, but it is one that Sanseti can help you with. 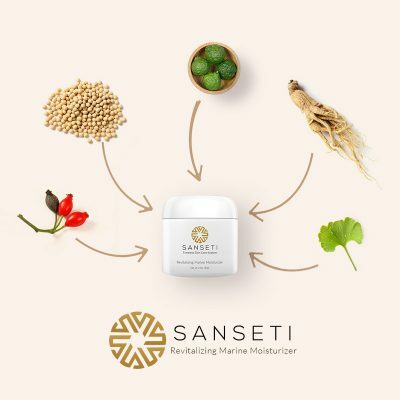 Sanseti’s Essential Anti-Puff Eye Gel with CoQ10 & Peptides is a lightweight cooling gel easily paired with Sanseti’s Revitalizing Marine Moisturizer or other sun protection formulas. Clinical results have shown that 65% of subjects had a decrease in eye bag thickness after 28 days. Testing also indicated a 25% reduction of capillary permeability (the primary cause of dark circles). My pen is a lifesaver! My eyes look more bright and youthful and I’m turning heads at the office. I am really glad that I bought this. It was a good decision and I’m a happy camper. I got this eye gel about a week ago. I know it sounds weird but I can hardly wait for my eyes to get puffy so I can watch it work! The difference is dramatic and real. 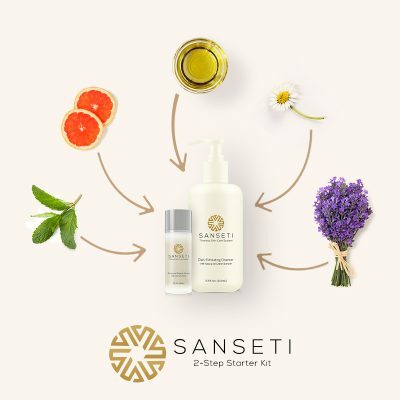 I am going to keep using this wonderful product. As an actor, my baggy eyes can play a role in the parts I play. I was introduced to this product by someone who felt sorry for me. I wasn’t bothered by my eyes, but I used it. Wow! My search for an excellent eye product has been long and hard. 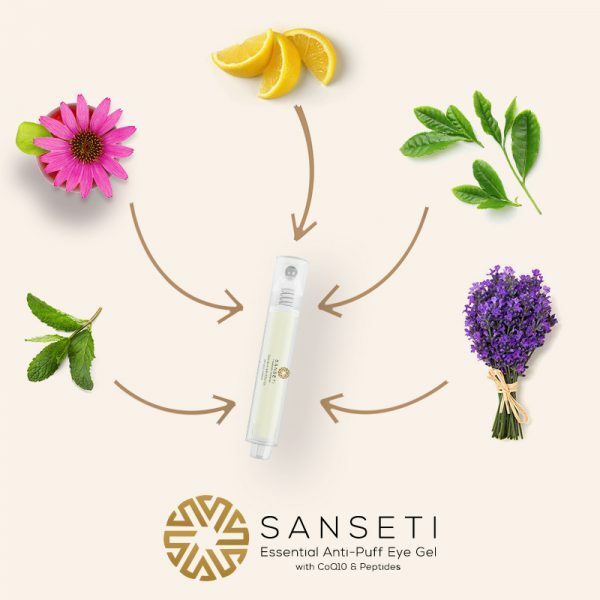 I finally found Sanseti’s eye gel pen, and I have to tell you that this product really rocks. My puffiness is gone and I look so much younger. Wow, this eye gel pen really works! 😃 I’m such a workaholic, and it shows in my eyes. But using the pen took care of that. I need to sleep more, but I don’t show it. I so love this eye gel pen. It is so convenient to have this handy to use whenever I need it. I was also pleased that it didn’t react with my skin like so many other products. I had all kinds of fine lines on my face, but after using the pen, they are far less obvious. The nice thing about this product is that it doesn’t have some weird smell. It’s very pleasant. This is an excellent product. I’m going to rave about this eye gel pen. I have finally found a company that makes products that do what they advertise. Even shortly after the first use, there was a significant difference. I use this gel every day without fail. It helps tighten up the areas that tend to sag, like around my eyes. It really works, and I’m glad to write this review to help other people. My skin is so extremely sensitive that my choices for skin products are quite restrictive. This pen, though, is a keeper. It got rid of my puffy eyes without causing an irritation anywhere. I recommend this product. In just a few weeks I’ve seen dramatic changes in my face. The bags and dark circles have shrunk, which has brightened my eyes and my face. I can hardly believe how good this product is. I used another similar product but it failed miserably. It also cost a lot of money. Then I found this anti-puff eye gel. It reduced all of my wrinkles, lines – my face looks so much more vibrant! 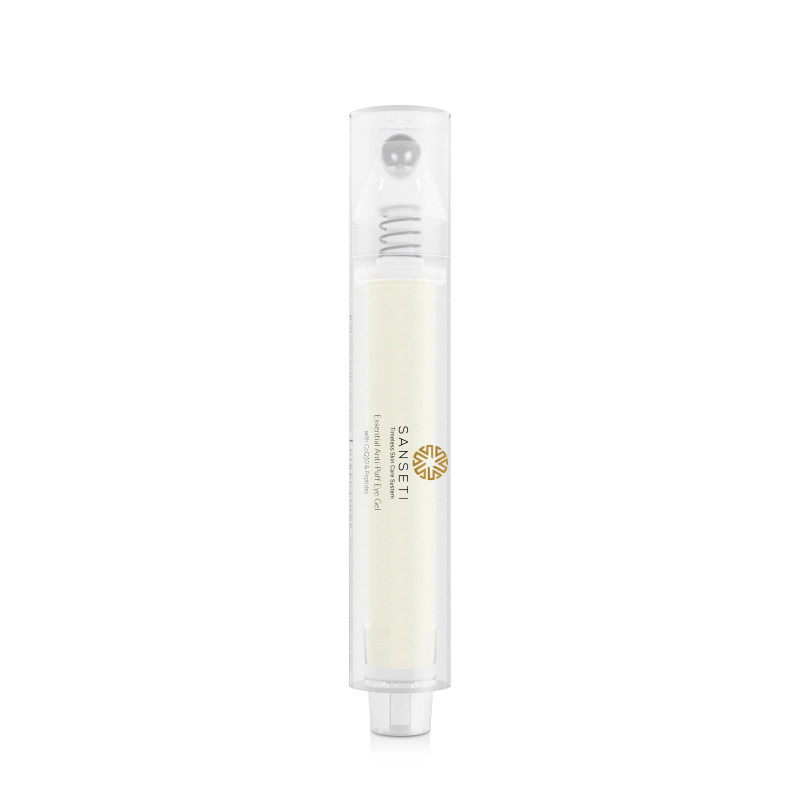 For the size of this pen, it really is powerful in combating wrinkles and puffiness. It’s a great addition to my skincare arsenal. I love the fact that it doesn’t have harmful chemicals in it. Great product, you guys. I love the pen because it absorbs rapidly. I don’t have to worry about tacky skin. In no time at all, you can see a definite difference after using it. It’s like the puffiness was never there. This product works so fast, even in a pinch. I went to work with a hangover – never again – and just for kicks, I tried the pen on my weary eyes. Wow. By the time I got to work, my eyes looked better. I’m not making this up. This pen is like a mini anti-aging weapon. It works quickly to slow down or even reverse wrinkles and circles. My skin looks and feels better all the time. This is a godsend. At first, I was pretty doubtful about getting this eye gel pen. But after using it for a month, the difference is life-changing. I have watched the puffiness and dark circles almost vanish. I love this product so much, but I have to use it often because I can plainly notice the difference when I don’t. But in the big picture, the area around my eyes has improved a great deal. I personally don’t like using makeup, so I got really frustrated when I started getting puffiness around my eyes. Started using this cool pen thingy and have noticed great improvement! Whenever I went to work, the big conversation centered on how tired I looked due to my puffy eyes. Fed up, I got this eye gel pen. Now the conversation centers on what I did to make myself look so young. I’m not only enjoying youthful and bright eyes, I’m also the talk of my office. Buying it was the best decision in such a long time. Smells nice and goes on so smooth. Have been using this anti puff eye gel for about a week. Now I can’t stop using it because the difference is so obvious for me. Will continue to keep using it! I’ve been fighting dry skin around my eyes for some time now. I recently bought this pen from Sanseti, and it sure is amazing. It hydrated these areas so that my dry skin healed. What a product! While people were going on about this pen, I was still skeptical. But after the first use, I was sold. After two months, the darkness under my eyes had almost faded completely away. I’m very happy. I am a guy who is used to looking like a movie villain due to my baggy eyes… However, this gel has made a clear noticeable difference. Am sure to keep using it. This anti-puff gel works. Damn, it might be the only anti-puff gel that works because I have tried so many that don’t work. Now I feel confident with eyes looking fresh and a skin with no fine lines on it. I didn’t know my eyes were puffy until a colleague said they were. I tried different solutions in vain until I found this anti-puff gel. I feel the difference now, my eyes feel lighter, and my colleagues say I look better. Being my first time, I was looking for a solution for my puffy eyes, I never thought I’d find a product that works. Luckily, I got Sanseti anti-puff and it reduces the puffiness faster than I thought. It’s a great product at a reasonable cost. My puffy eyes really took a toll on my confidence. My self-esteem was always low. I thank the heavens I found this amazing product. I can now confidently enjoy a night out. Puffy eyes always made me look sleepy even when I wasn’t! It’s not a good look especially when you’re handling clients. I got this product through online search and it has helped me get through puffy eyes. I have always been looking for an excellent product to help clear up the ‘issues’ under my eyes. My search stopped when I landed on this courtesy on a friend’s advice. Definitely never looking back. There’s a week that I couldn’t sleep, I was an insomniac. I needed something to make my eyes look less sleepy and a friend gave me this. I’ve loved it since and I even got my own bottle. I’ve had dark circles for so long that I thought I’d never get rid of them. But a friend told me about this amazing pen for the eyes. I’ve only used it for less than two weeks, but the difference is stunning. Did the trick! My sleep deprived eyes are no longer baggy 🙂 This product also did not give me any kind of allergic reaction like some other products I have tried. My beautician has been using this product on my face and I can feel the difference with the other products I’ve used. I purchased a bottle for home use and it’s working marvelously so far. I thank my beautician each time I see her. Love this SOOO freaking convenient to have something I can use to make my baggy eyes less noticeable without even applying makeup. I am so amazed by the eye gel pen that I can hardly put it into words. This product is no joke. It’s so easy to put on and if you use it regularly, you can see the difference. My little fine lines now look softer. They’re less noticeable. Every morning, I look more awake, refreshed and wide-eyed! What stroked me the most about this product is its refreshing and pleasant attribute. Yes, yes, yes! Finally found a skin care product that does what it supposed to, I put this under my eyes and it visibly made a difference after the first use. Works great for guys, fellas! The gel is part of my daily face moisturizing regimen. It keeps my stubborn lines from getting worse. It works effectively to minimize them. It actually works … too good. I have an extremely reactive and sensitive skin. I definitely like it coz of its hydrating and gentle nature on my sensitive skin. I was afraid that it’d cause unsightly and unpleasant reaction, to my surprise, it didn’t. Noticed that the bags and dark circles beneath my eyes got smaller and lighter in a span of only three weeks. My eyes are brighter, and te dark is beginning to fade away into my memory. It’s too good. After using another product for a couple months without results, I stumbled upon this amazing, refreshing anti-puff eye gel. It was magical in reducing wrinkles, fine lines, eye bags, and puffiness. Definitely buying it again! I love the fact that it’s lightweight. I combine it with my moisturizers and/or sun protection. I love it coz of its essential oils that effortlessly de-congest my puffy eyes. I love it mainly because it absorbs quickly. What’s more is that it doesn’t leave my skin tacky or slick. In fact, I can apply my other man products right away. It really feels cool on my skin. In addition to making my eyes look less weary and more energized, this anti-puff eye gel also works like a charm when it comes to eliminating puffiness and wrinkles. I love it, I love it! Now I never have to worry about looking like a weirdo while heading to work with a nasty hangover. I love that it works quickly just like I need it to. It works brilliantly to slow the ugly effects of aging. My dark circles, lines, puffiness and wrinkles are no more. My skin feels rejuvenated and restored for sure. I’m buying it again and again and again, lol! At first, I was pretty skeptical about making a purchase. A month down the line, I’m definitely amazed at the difference. The puffiness and fine lines around my eyes are impressively less noticeable. This product lasts long. It’s priced right. I can guarantee you that it does work. When I smile, the lines are now much muted. So far, so good … I’m highly impressed. There’s honestly a huge difference when I use and when I don’t. The product has significantly improved the areas surrounding my eyes. After putting it on, I notice that the ‘indent’ beneath my eyes is almost gone. In the past couple years, I’ve experienced dry skin beneath and beside my eyes especially near the temples. What I like about this gel is that it hydrates these areas perfectly to leave my skin smooth and feeling refreshed. While I wasn’t expecting a miracle, that’s exactly what I got two months of using it. Since I’m 36, I’ve always had some dark purple below my eyes. It’s not so significant anymore. I thought the dark circles around my eyes would always be present for the rest of my life. My partner has noticed the drastic changes around my eyes after only a week or two of using this product. After using it for a month or so, the thickness of my eye bag had reduced considerably. I use it under my special serum/treatment and prior to applying makeup. Honestly, I’m lost for words. The essential anti-puff eye gel is the real deal. There’s no doubt about that. Applying it is easy. I’m enjoying watching it peel away all the darkness around my eyes. 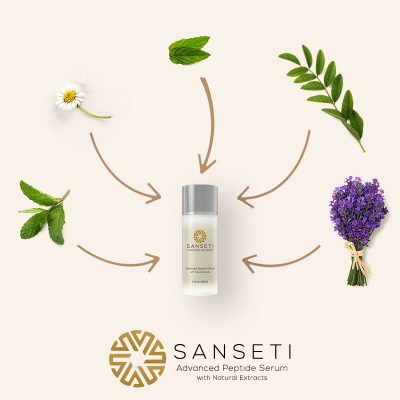 Sanseti’s anti-puff eye gel is a wonder gel. I love starting my day by applying it right after I get out of the shower. Great way to help my eyes wake up! My wife suggested I use this pen and got it for me. I’m quite surprised at its effectiveness. Not bad for the price! My favorite thing to do with the eye gel pen is to put in into the fridge overnight so it gets SUPER cold. Really adds to my refreshment when I apply it! At the end of the day, this gel does what it says. With continued use, and applying twice a day, I’m already seeing results where I want it! This stuff is perfect for men as well. Women aren’t the only ones who are insecure about bags under their eyes. I love having this in my house. Sweet little pen, easy to toss in my purse in case I need a little “pick me up” during the work day. I love it! So happy my girlfriends brought this up the other day. Based on their recommendations, I had to try it. Now I feel like I need to spread the word. Thnks Sanseti! Couldn’t ask for anything more, this gel really reduced my puffy eyes. Definitely happy with this. I am a younger woman, but suffer from bags under my eyes. This gel is really a life-saver, the difference is very noticeable for me and my friends have said so as well. Used to be known for having baggy eyes, now people ask me what I’m using because my eyes are less baggy than theirs. Had a “puffy eye” problem ever since I was a teen. It was something that heavily affected my confidence. Now after using this eye gel I have not had visibly noticeable puffy eyes. I am a person who has been known for having good skin (with the exception of my baggy eyes). That was the one flaw that made me a bit insecure about my face. Itss so amazing to have something that is specifically for that purpose and actually works.. I don’t exactly have chronic baggy eyes, but I get them when I don’t get enough rest. I used this pen and no one was able to notice that I didn’t get any sleep last night. Not bad so far.. Fantastic! I have tried something similar to this but it did not do so much for my baggy eyes. With this Sanseti anti puff eye gel, that was not the case. It showed visible results after my first use. Started getting insecure about the bags under my eyes. 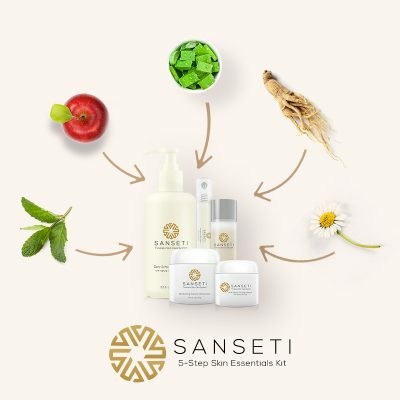 Decided to try this Sanseti gel. I have to say it worked better than expected. 100% noticeable improvement to the area around my eyes. This gel pen works like magic! I apply it to the dark circles under my eyes in the morning and notice the difference in the area around my eyes by the time I get to work. Pretty cool! Does exactly what it says. I noticed a significant visible difference in the reduction of my baggy eyes after using it.